Construction crews have worked diligently since last June. Progress was very obvious as each floor was added. But once work shifted to the interior it wasn't as easy to demonstrate construction progress. But now there are clear signs that the project is moving towards completion. The two pictures included in this post illustrate the progress to date. The main blog photo illustrates that the entire building has received several coats of white paint. And the bright turquoise trim is now being applied. 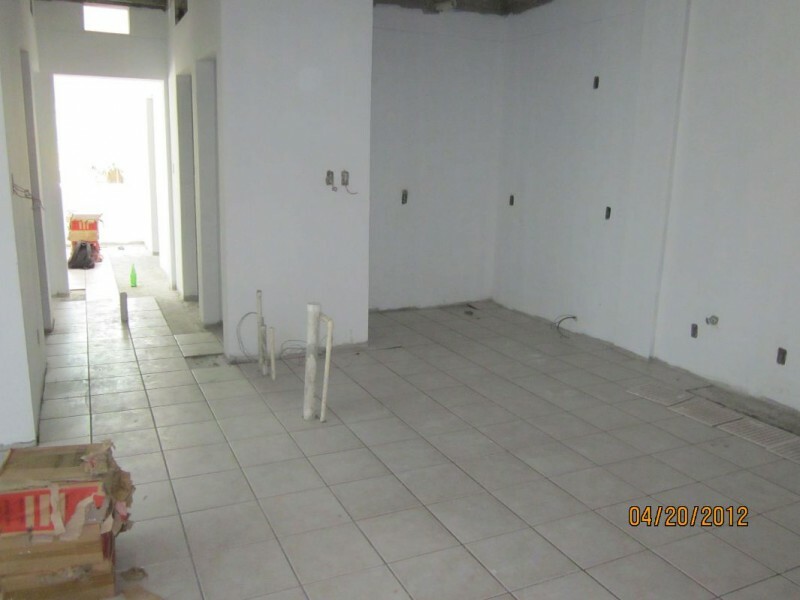 The picture of the building's interior indicates that the tile work is well underway within the units, and the central hallway. John Morgan, the project construction manager, has been working closely with the Belizean contractor, Daniel Camal. They are both driving this project forward as quickly as possible.